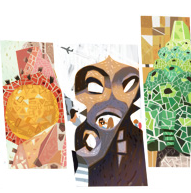 Google celebrates archaeologist and anthropologist Mary Leakey’s 100th birthday with a doodle today. Leakey is depicted here discovering the Laetoli footprints in Tanzania. The dogs in the picture are dalmatians and I’ve seen some questions online that indicate people are confused by this detail. So what do the dalmatians have to do with Mary Leakey? Well it’s a nice touch that would have put a smile on Leakey’s face. 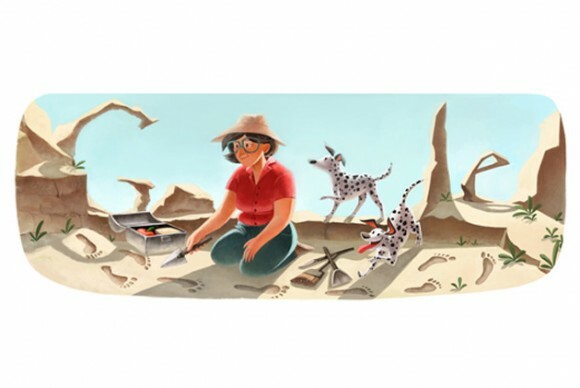 Leakey cherished three things – her children, her archaeology and her dogs. When she went out in the field she was usually accompanied by her dalmatians. In fact when she made one of her major discoveries, she was only accompanied, just like in the doodle, by two of her dalmatians. 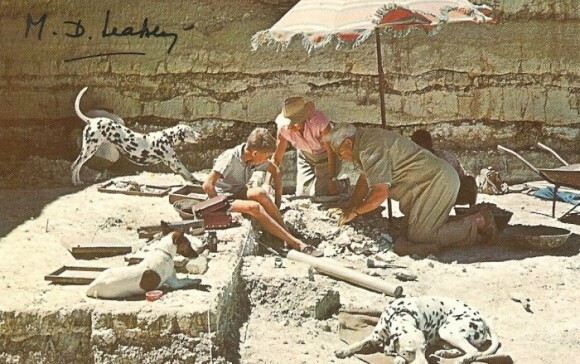 Here is a postcard signed by Mary Leakey that has the dalmatians in them. Here in this autographed postcard, you can see Mary with her husband Louis and her fine dogs.